Maginhawa Street in UP Village, Quezon City, is fast becoming a gastronomic stretch of almost all kinds of delights to satisfy your curious palates. No fine dining here. Most restaurants are small and affordable. 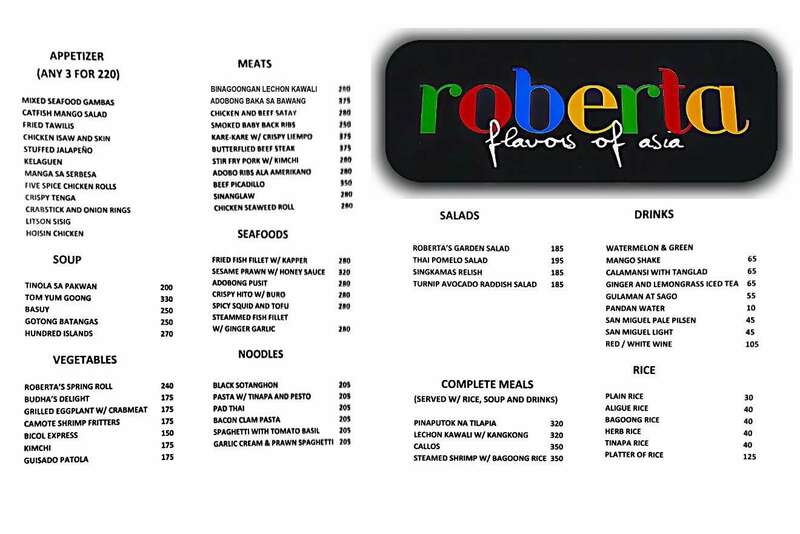 Now, if you’re looking for meals with rice, the best place I can recommend is Roberta Flavors of Asia. I enjoyed everything thing they served. You can find Asian fusion in their menu. There’s Chinese, Filipino, Japanese, Korean, and Thai dishes. And, expect some twists to the usual treats. One twist is their Tinola sa Pakwan. 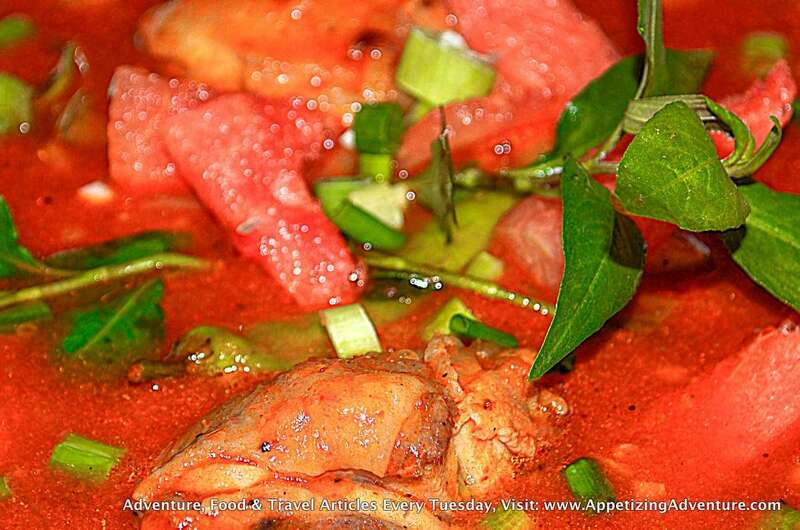 Tinola is usually cooked with chicken, broth, ginger, green papaya, ampalaya leaves, and patis (fish sauce). Theirs is cooked with pakwan (watermelon) and other secret ingredients. It felt really good on my throat — maybe because of the ginger. It gave a soothing feeling. 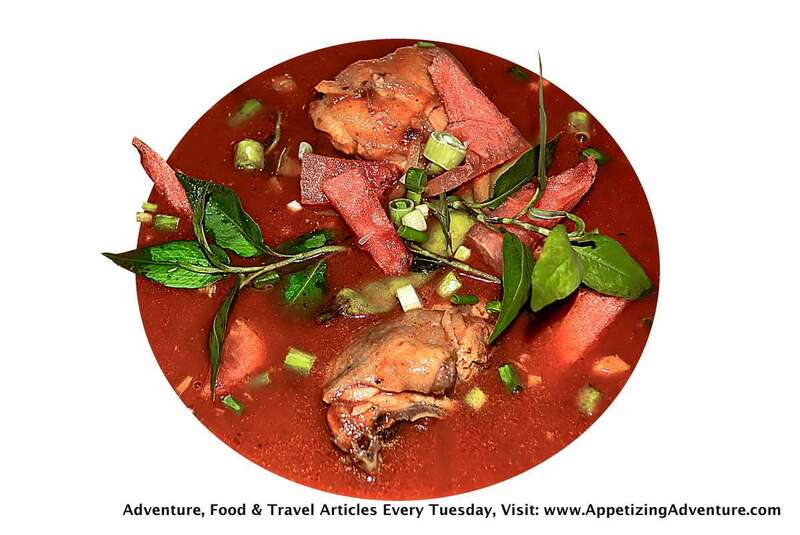 It’s slightly sweet, a bit sour, has thicker broth than the regular tinola, and it’s all good. Their Balinese Veggies was a wonderful surprise. 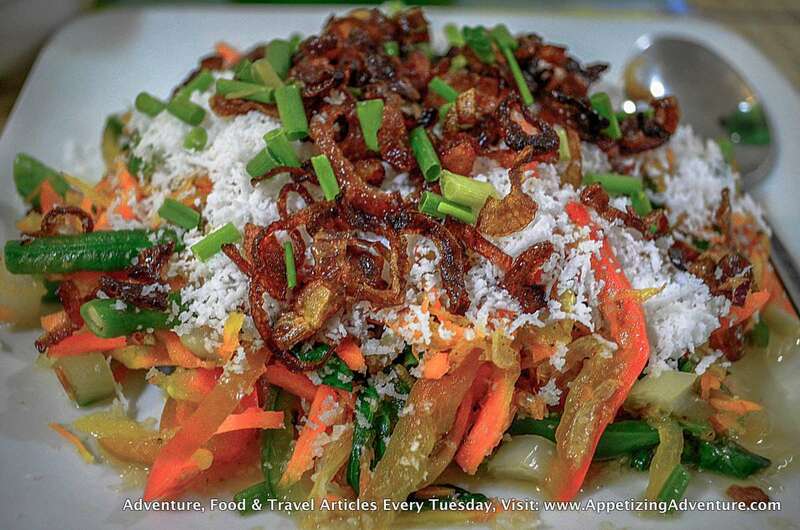 It has coconuts, caramelized onions, spring onions, bell peppers, carrots and other good stuff. It’s slightly sweet and has a subtle shrimp taste. The Binagoongan Lechon is also a must. 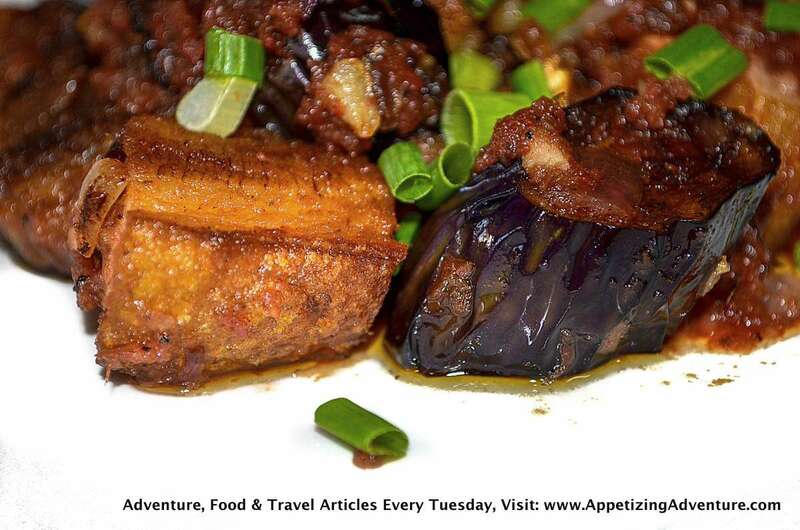 That’s crunchy pork and eggplant cooked in bagoong (shrimp paste). It’s delicious! You also have to order their Trio of Appetizers, good for sharing. Here you can choose three from their regular appetizers menu in smaller servings. I had Catfish Mango Salad, Fried Tawilis, and Mixed Seafood Gambas for my Trio of Appetizers. 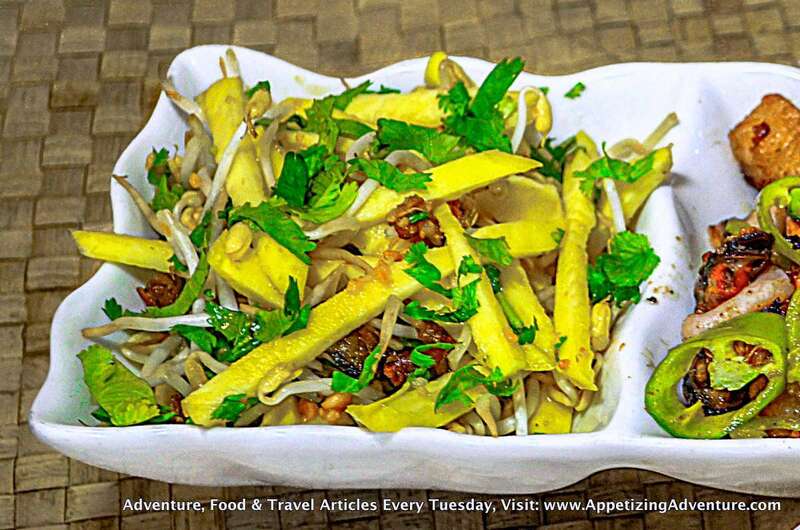 The Catfish Mango Salad has that hint of sweetness and more of the fruity sour taste from the green mangoes. That complements the catfish in the salad. The bean sprouts and cilantro made the salad taste even more refreshing. 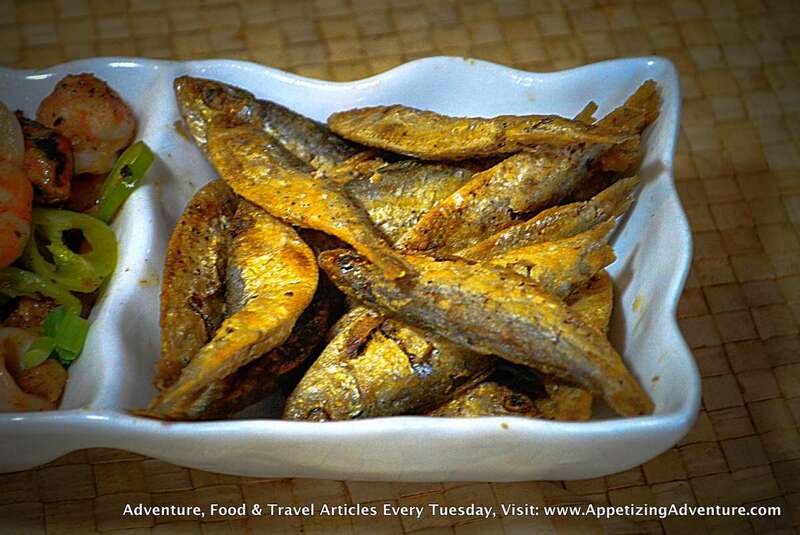 The Fried Tawilis is crunchy fish you can eat whole. Best enjoyed when dipped in garlic vinegar. I had to eat rice with this. 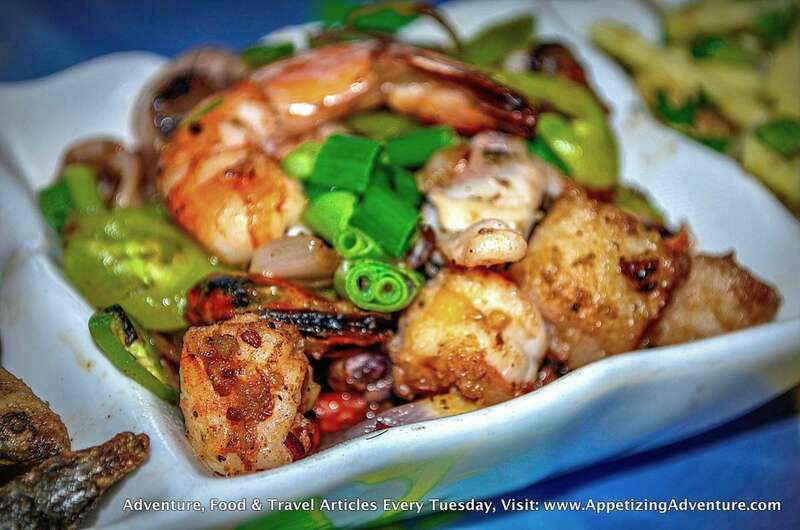 The Mixed Seafood Gambas is wonderfully spicy! The flavors blend in perfect harmony. I ate this with rice too, and I had to pour the garlicky oil from the gambas on the rice because it made the rice taste soooo good. My top pick — the Black SOTANGHON. It has spaghetti noodles and sotanghon noodles. 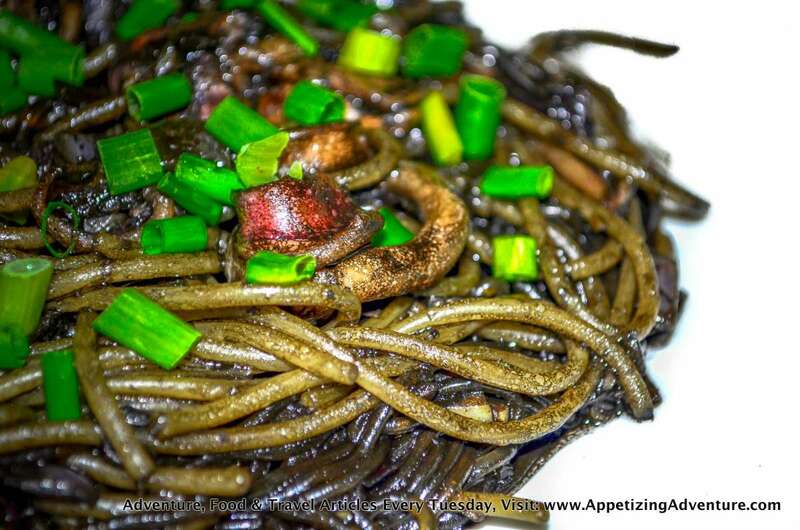 By far, this is the most delicious version of the usual squid ink pasta. It’s very tasty. 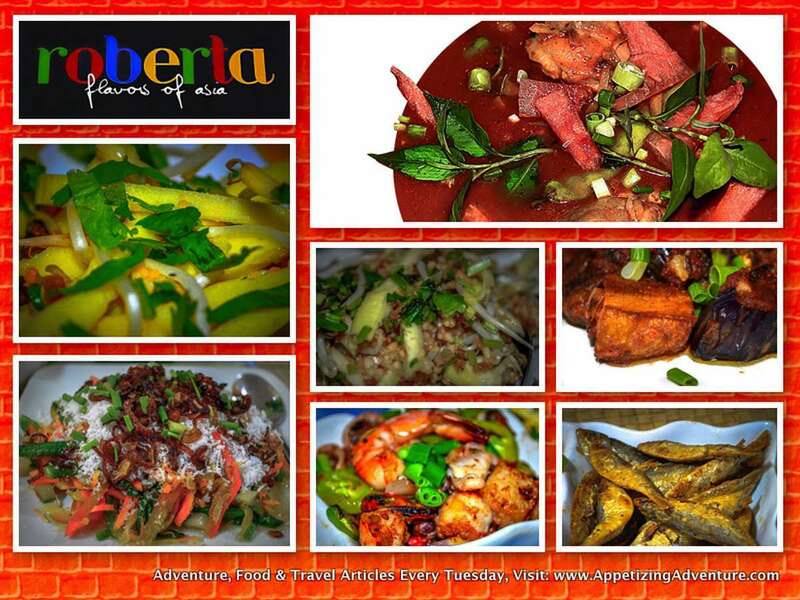 We Filipinos love our food bursting with flavors. The food is not the only interesting find here. The owner, Roberta Ravelo-Austria, best known as Tita Ruby, is also interesting. As I got to know her, I discovered she’s the daughter of Mars Ravelo. Mars is the creator of local superhero characters that Filipinos have grown to love for generations. Darna, Captain Barbell, and Dyesebel are some of the popular characters he immortalized in comics and have been brought to life on TV series and movies. Since so many versions have been made about them, Tita Ruby is one credible source to talk to and find out about the original powers, abilities and life stories of these characters. 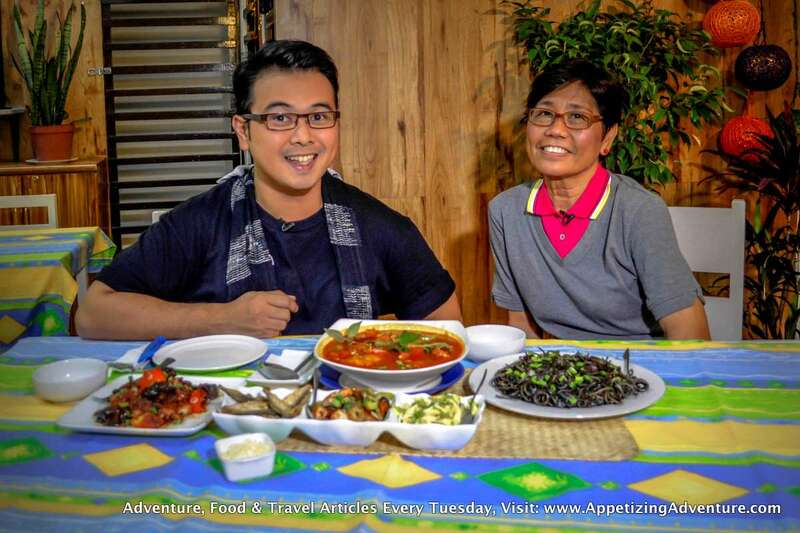 And, Tita Ruby is my personal gastronomic superhero.